In this episode I chat with Jenny Migneault about her experience caring for a loved one with PTSD. She is currently on a tour of Canada speaking about, and educating people on the importance of supporting Veterans with PTSD, and the loved ones that take care of them. 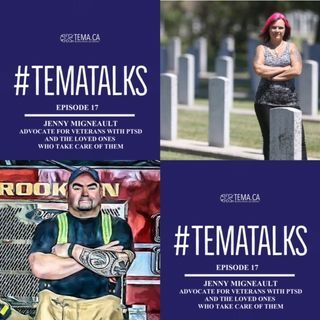 Also, hear messages of support from 12 past UpTalk/#TemaTalks guests! Available to stream from The Mental Health News Radio Network, or download wherever you get your podcasts!